Athena Malloy and Carolina Kroon collect signatures on THIS petition (sign it!) outside the Park Slope Food Coop on Halloween. We, the undersigned, sincerely request an end to the use of harmful pesticides, Anvil 10+10 and Dibrum. These are used as an attempt to counteract the West Nile virus throughout NYC boroughs and many parts of the nation. Anvil 10+10 states on its label that it is toxic to bees. Dibrum is an organophosphate that EPA research shows is not only harmful to bees, it’s also carcinogenic and detrimental to the endocrine system of humans. Honeybee populations have declined by 40-50% in the last few years! And the Agriculture Department says a quarter of the American diet, from apples to cherries to watermelons to onions, depends on pollination by honeybees. Please stop the use of these dangerous pesticides and use alternative means to prevent and tend to the few who have been harmed by the West Nile Virus. One factor that would lessen the population is to increase the presence of mosquito predators. Bats and dragonflies are natural predators of mosquitoes who are also being harmed by the use of pesticides. 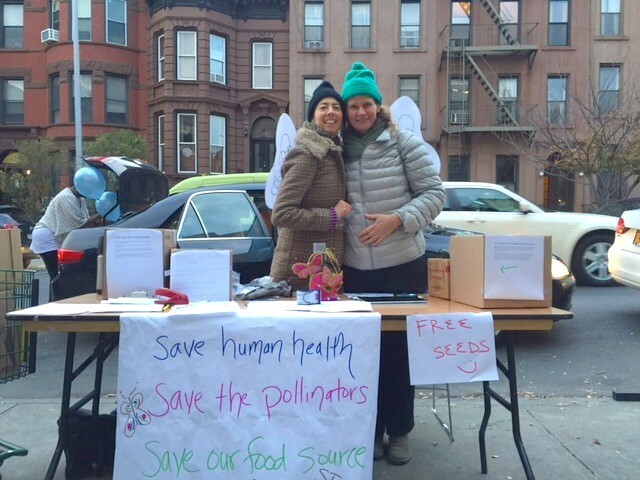 Petition was initiated by Brooklynites Carolina Kroon and Athena Malloy.